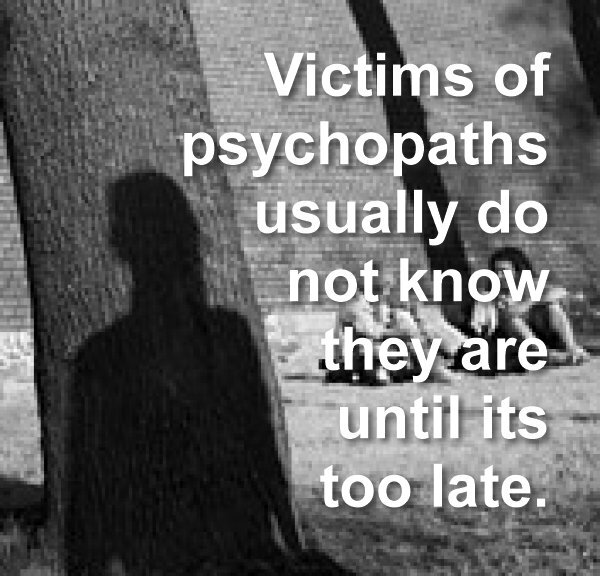 If you know a victim of a psychopath, or have been the victim of a psychopath or sociopath, the results can be devastating. 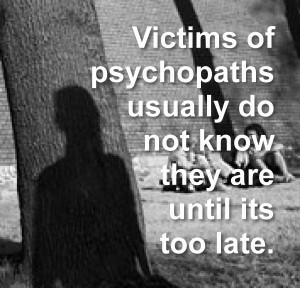 psychopathvictims.com is a resource for victims to find resources, ask questions, find anwers and share their stories for the benefit of the overall psychopath victims community. 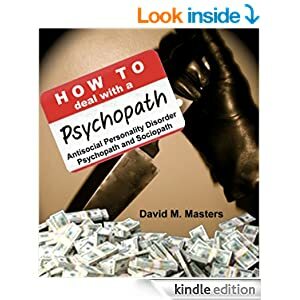 If you area victim of a psychopath or sociopath you may be wondering if your life will ever be the same? Though your life may never return to what it was before being victimized, this site will be helpful in your putting your life back together. Doing so will allow you to build a new life that could be even better than the life you once knew. Welcome users of this online support group… and above all, be assured that you are not worthless, crazy or doomed to a life of suffering. There is hope for us all. Feel free to share your story, as it may hold the kry that will save the life of someone else.